Here is a book for your summer arts education reading. Clark, B., Grey, A., & Terreni, L. (2013). Arts in Early Childhood: Education: Kia tipu te wairua toi – Fostering young children’s creative spirit through the Arts. Auckland: Pearson New Zealand. 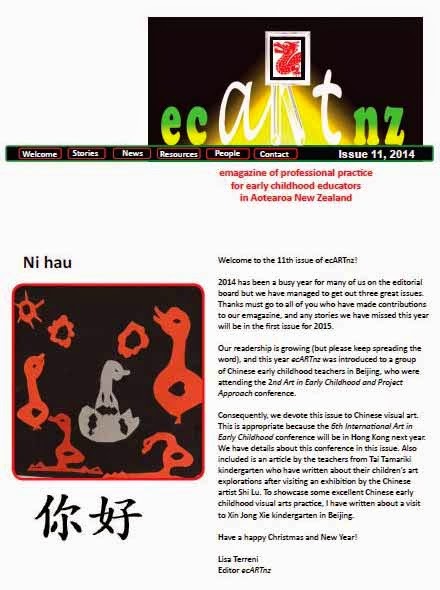 Also available is ecARTnz, the free e-magazine of professional practice for early childhood teachers.This magazine showcases examples of best practice in visual arts education that are currently happening in New Zealand EC centres. There are up to 3 publications per year. Contributions from teachers, academics, and arts reaserchers are always welcome! at the Hong Kong Institute of Education, Hong Kong, China. “Children’s lives are shaped by the places they inhabit” (Taylor, 2010, p.1). Recently, the Wellington-based organisation REID (Reggio Emilia Inspired Dialogues) held the first part of a professional development symposium focussing on the importance of ‘place’ for young children's learning. The session began with a guided walk around places of significance to Mana Whenua in Te Aro by Liz Mellish, a respected elder of the local iwi. Te Wharewaka o Poneke, Te Aro Pa, Te Aro Park and the Waimapihi stream were part of the journey of discovery for participants. The walk was followed by a seminar on place-based investigations with children by Dr Anne Meade. Participants were encouraged to discuss the places of significance within their own EC community, and to plan for investigations of these with their children. The day finished with a wonderful visual arts response by participants that I led, and this work has become the basis for a new exhibition at the Faculty of Education, Victoria University of Wellington. The exhibition is a developing one as the REID teachers add their children’s work to the show over the next few months. 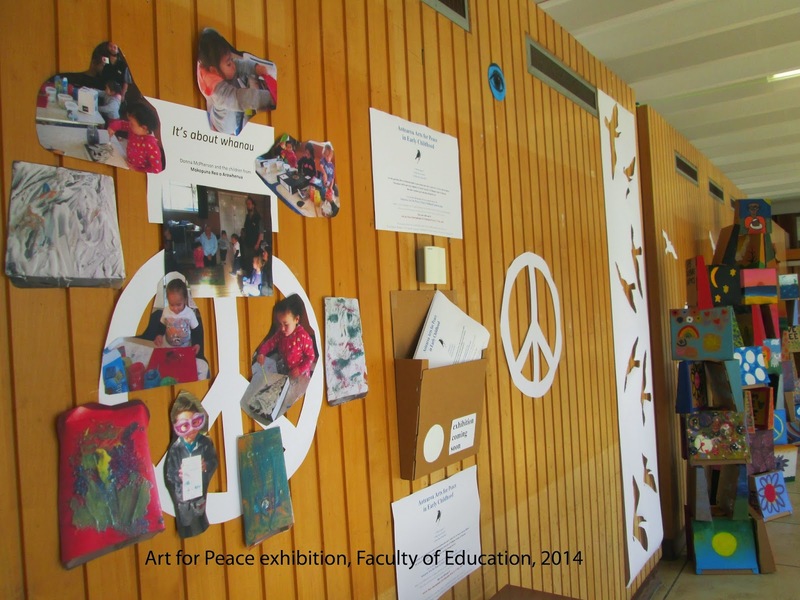 Using the questions above as discussion points, several EC centres created a ‘peace box’ (or boxes) with the children. Trash shoe gardens can provide colour, interest, and a bit of whimsy in unattractive and utilitarian spaces. This garden lives at in the Faculty of Education's quad at Victoria University, and was inspired by the book REmida Day (Reggio Children). The shoes were accessed through donations by staff and purchases from second hand shops. Individually and collectively the shoes can inspire and delight. Sustainable gardens not only contribute to enhancing the natural environment of EC centres, but also to the aesthetics of children's learning spaces. Much has been written about this (see for instance, Artfully Caring for the Environment by Janette Kelly in Kia Tipu Te Wairua Toi - Arts in Early Childhood, or ReMida Day published by Reggio Children), and increasingly EC teachers are developing gardens with children in their centres. These are photos of gardens developed on London's South Bank in conjunction with the Eden Project, and a once uninspiring area has been transformed into a place of beauty and sustainable functionality. Many of the ideas used in this space involve planting in a variety of different containers and in urban areas, where space is often minimal, container gardening can be a viable and attractive option. 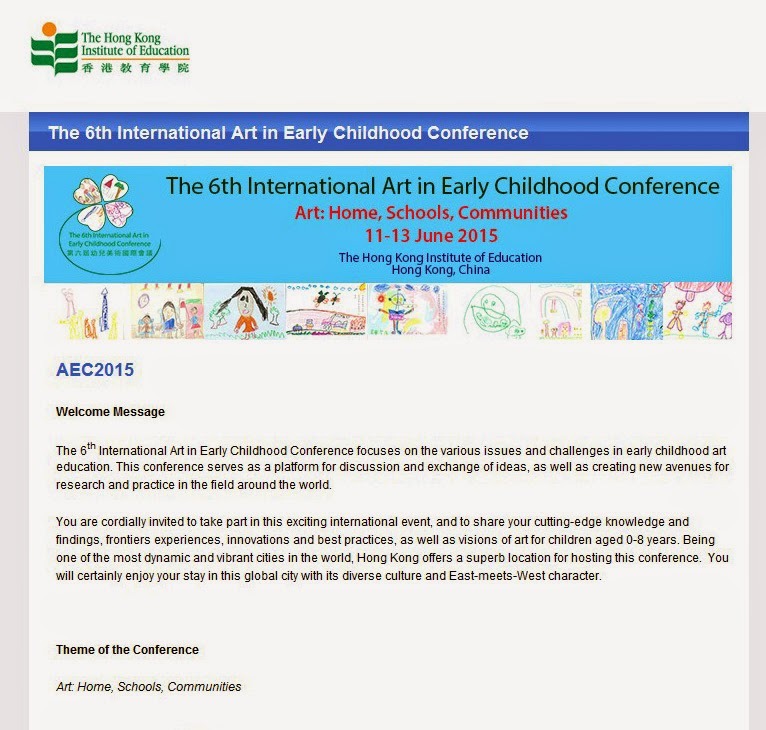 Aesthetics and the early childhood environment.